Rural Institute (RI) is committed to creating better lives for rural people with disabilities and their families. With innovative services, training and research, RI strives to improve independence and participation of people with disabilities in everyday activities and all aspects of the community. 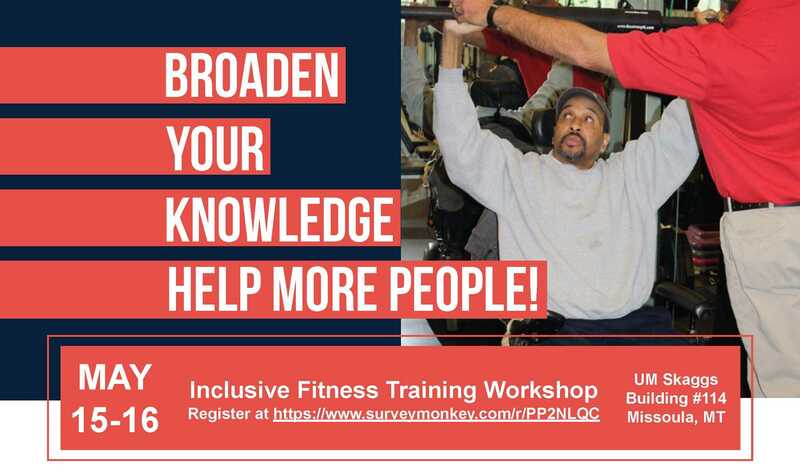 Education and Training include Living Well with a Disability, a health promotion program that helps participants reach the quality of life goals through healthy lifestyles. Our community services include assistive technology demonstration and equipment loan to enable independence at home, school, work, and in the community throughout Montana. Research areas include rural transportation and employment options to support economic independence. The 40+ RIIC projects focus on employment, independent and healthy living, education, accessible housing, and transportation to enable rural Americans to be fully included in their communities. The Rural Institute is one of 67 University Centers for Excellence in Developmental Disabilities (UCEDD), funded by the U.S. Administration for Community Living.The national enrollment for the All of Us Research Program is open now! Disability Rights Montana will be posting an electronic newsletter each Friday during the 2019 legislative session. They will give you information about upcoming budget and general bill hearings, developments for other bills we are following and action alerts when these bills are coming up for votes.